The Y6 Ranch is a 5th generation privately owned and operated ranch located in southwest New Mexico bordering the Gila National Forest. It encompasses 39,000 acres of rolling grassland hills overlooked by juniper and oak savanna slopes. It is home to a large resident herd of mule deer, pockets of coues whitetail deer and mountain lions. The ranch is very conducive to glassing which enables a hunter to look at multiple bucks during a five day hunt and choose the one that is right for you. 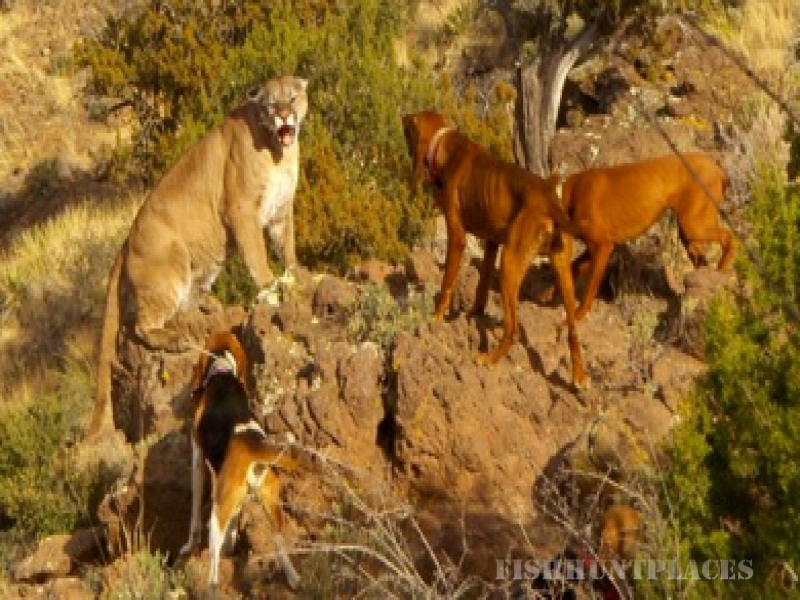 The abundant deer populations entice mountain lions from the surrounding area and allow the opportunity to trail one of these elusive creatures with hound dogs. Please take a look at our photo gallery and video pages to learn more about hunting opportunities on the Y6 Ranch. Limited spots are available for deer and lion hunts, so contact us today to book your hunt.